Walk for everyone affected by breast cancer, your way. Bring together friends and family and enjoy your own sponsored walk, wherever you choose to do it. Whether you walk with old friends, new friends or four-legged friends, every step you take will make a huge difference and we’ll support you with every step. 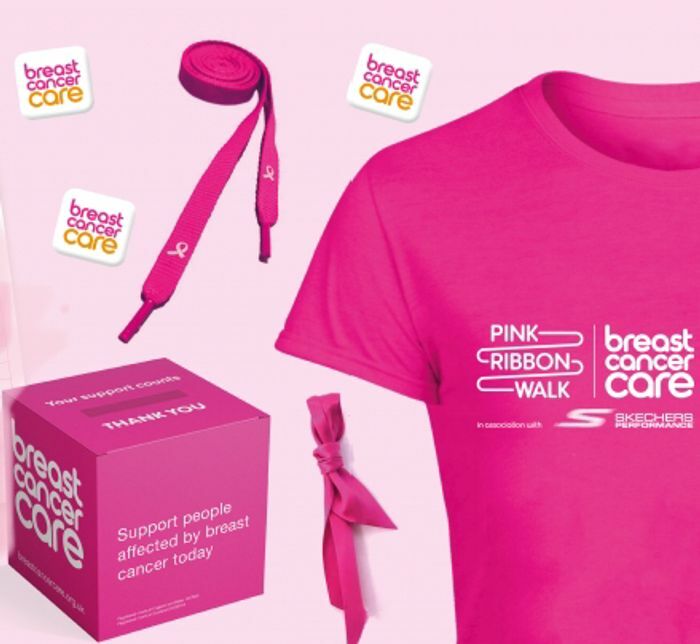 Walk for yourself, for a loved one, for everyone affected by breast cancer. Together, we can provide support for today and hope for the future. To apply follow the link and register with your details. Select size T-Shirt you would like to receive and complete application. Kit will be sent to you direct to your door. All done. Thank you so much for sharing this. I am doing it for late family that have passed away with diffrant kins of cancer. I'm all for supporting charity but this is not what I want the money spent on why am I funding freebies? Ano ,how this is classed as a freebie i dont know but i fully support them as i give them key rings with the breast for cancer emblem. I suppose we can only hope that everyone who accepts this "Freebie" raises at least ten times its value and also hope those who made the T-shirts supplied them at cost price. davidstockport it just puts me off supporting the charity - likewise the ones send 'free' coasters ect in the post- that I haven't even asked for. I like to see the money going to the cause. Thank you for sharing, I have registered and am now organising an event to support a cause directly affecting a very good friend. This is great, I’m going to get myself and my friends to do a charity walk in memory of my Mum and everyone else fighting Cancer.